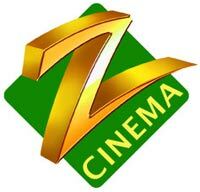 After the success of its summer kids festival - 'Dopahar Zee Cinema Par', Zee Cinema is proud to present yet another first on its channel Dil Toh Baccha Hai. This is the first time that a Hindi movie channel ventures into bringing Hindi versions of internationally renowned animated movies from the Disney stable to Indian audiences. As a CSR initiative, Zee Cinema would like to commence a 'Gift a Toy' activity that will involve all Zee Network employees to donate their old toys. Huge boxes will be kept at all the offices to collect the toys from Sep 20, 2010 till the end of the Disney fest on air. These Toy Banks in Mumbai and Delhi will then donate the toys to the underprivileged kids and orphanages on behalf of Zee Network. Please contribute generously. We look forward to your support in making this donation drive a reality by participating at your fullest.